Anushka has done many kinds of roles in her career. She has played glamorous characters and even horror ones. 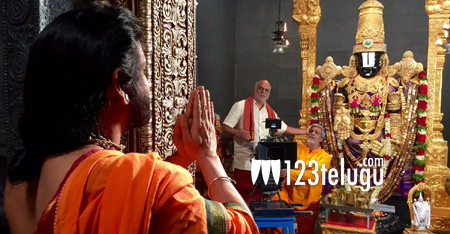 But now, she is playing a devotional role opposite Nagarjuna in OM Namo Venkateshaya. The actress is going to be seen like never before in this film and Raghavendra Rao is exploring a new angle in this talented actress. Anushka will be sporting very different facial expressions in this devotional entertainer. Starring Akkineni Nagarjuna, the film has music by Keeravani.